Water features can make any outdoor area look spectacular. Even more so if the work is done to a high standard. Making sure that the feature has the relevant space to fulfill its job, as well as accompany any additional features it may own such as pumps or filters is essential. The relaxing sound and visual focal point of water can transform any garden as an incidental feature or a major theme. There are many ways we can include water into a garden. 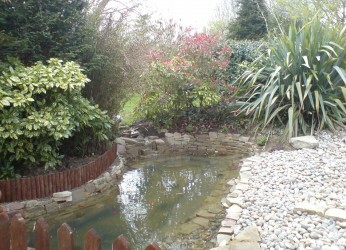 From formal water features to wildlife encouraging lakes and koi-ponds. We can help evaluate water pressure, the right pump for your water feature, cabling and power supply considerations. 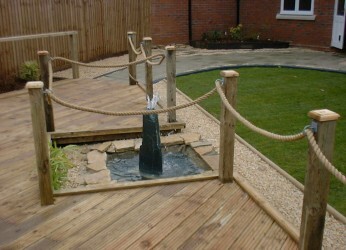 Water features can be included as part of our design. Alternatively we can create a stunning feature within an established scheme.